I haven’t been feeling very well these past few days, so Zack and I made dinner together last night. It’s a lot of fun working with him in the kitchen. Plus it makes things move so much faster! Consider this entry more of a recipe review. 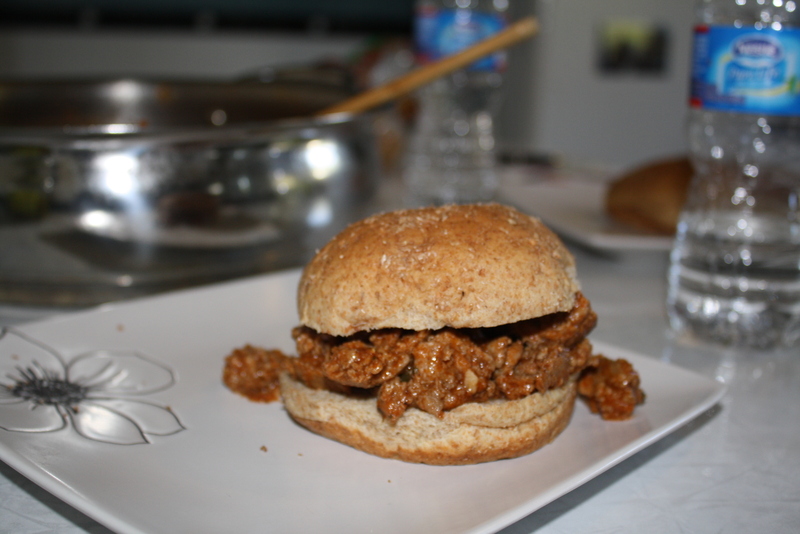 Although these sloppy joes look really tasty, they were a one time thing. I really liked that the recipe called for lots of fresh ingredients, but there was just something about the taste that I was not a big fan of. This recipe was highly recommended to me, though, so I am going to still include the recipe so that you can try it for yourself. As you can see from the picture, they definitely live up to the ‘sloppy’ part of their names. Prep time: 10 minutes. Cook time: 15 minutes. 4 servings. Heat the oil in a large skillet over medium-high heat. When the oil ripples and is hot, add the meat and brown. Add the onions, chile, bell pepper, garlic, and salt and pepper. Stir in the paprika, ginger, allspice, cinnamon, nutmeg, thyme, and cilantro. Stir occasionally for 8-10 minutes. In a small bowl, combine the vinegar, sugar, Worcestershire sauce, lime juice, and tomato sauce. Stir the sauce into the turkey mixture. 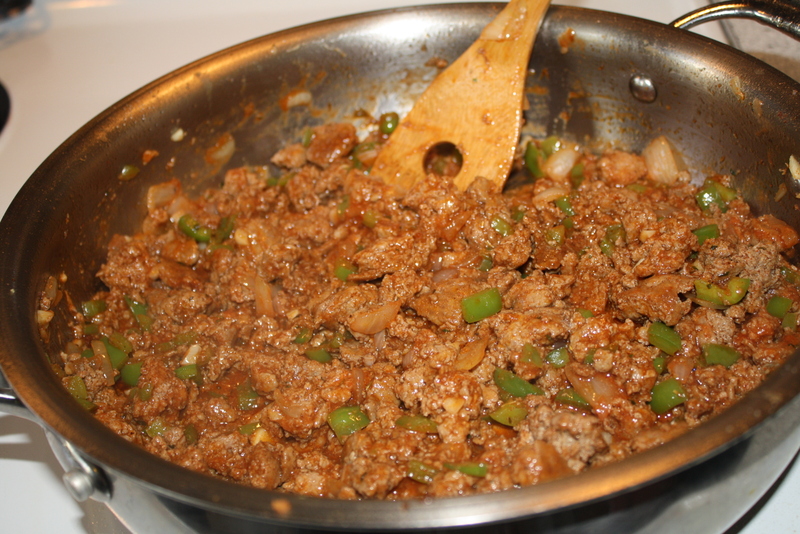 Simmer for a few minutes, then serve on rolls with a garnish of scallions, chopped pickles, and chopped cilantro. The water in the turkey when I put it in the hot oil caused quite an eruption. Hot oil covered my stove, kitchen counters, and my arm. It kept on popping and spraying everywhere until most of the water was cooked out. I would recommend browning the turkey then adding some oil to cook the rest of the ingredients in, because that was disastrous. When I was on my way home from school yesterday, Zack sent me a text message saying he had made me something. When I got home, this was sitting on the step on our screened in porch. Isn’t it cute? He is so sweet. These sloppy joes look delicious, bummer that the recipe didn’t pan out for you! Thanks! Carving pumpkins is so much fun 🙂 and it was disappointing!